So, you’re thinking about remodeling your home. You’re going to add a splash of new color, change the flooring, and get rid of that aging love seat. You might as well plan on changing your window treatments too. Have you thought about exchanging curtains or drapes for sturdy and long-lasting shutters? Whether or not you think it’s necessary, there will come a time where you will need new window treatments. These 5 signs will alert you when only a little TLC just isn’t enough. When you buy a home, chances are you will be walking in to an empty house. You might find a few kitchen accessories or basements treasures but for the most part, you will be adding all of your new (or current) furniture. If you find that the shutters are still on the windows, you may feel relieved at first that those are one aspect that you don’t have to replace. But depending on the quality, window treatments only last for 7 or 8 years, and if you don’t know how long they have been installed, you may have old and faulty shutters. Higher quality window treatments will last longer and deflect fading when taken care of properly, so thoroughy inspect the shutters before welcoming them. This is a crucial sign to look out for. Frayed cords and chipped edges of the slats are a big deal because this could mean that the internal mechanisms are causing damage to the cord. Over time, the blinds will become unusable or, even worse, fall off. Time for a new set! All of your shutters should close tightly. If you are seeing even the slightest crease of light through your blinds, they’re not doing their job. This means that your tilt mechanism has given out. Because of the way most higher-quality blinds are made, it would be difficult to fix. You would have to re-cord the whole unit, which wouldn’t be worth the investment in the end. Your slats may discolor over time, especially if you own store-bought window treatments. This unsightly shade or yellowing can be an eyesore. Sun rays and chemicals in your home play a role in this awful effect. Good luck washing them out, although your best bet is to replace the unit completely. When you are looking to replace your window treatments, a high-quality and long lasting unit will most likely come with UV protection. Ask your local contractor for the right choice in color preservation. Chances are that your old shades will most likely not fit your new window frame. Since most custom blinds are made to fit a specific frame and home, you will need to get an estimate for a whole new set. This is a mistake that some new homeowners make, thinking that they a can just pack up the blinds with the rest of the furniture, only to discover they’ve wasted time (and money) trying to fit them just right. Now is the time to replace them with something even better! This can be fun and cost effective in the long run as your local contractor will give you best treatment options for your needs and budget. 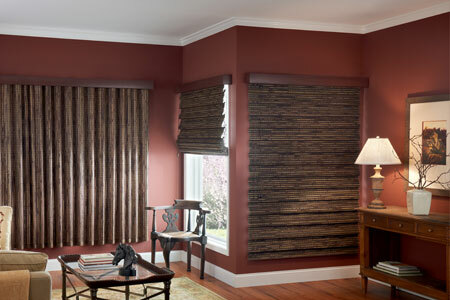 Are you ready to switch out the old blinds or customize a new set? Have general questions about estimates? Give us a call for honest answers and speedy service!